The steps that create ACFS file system by ASMCA can be simplified as such: 1. 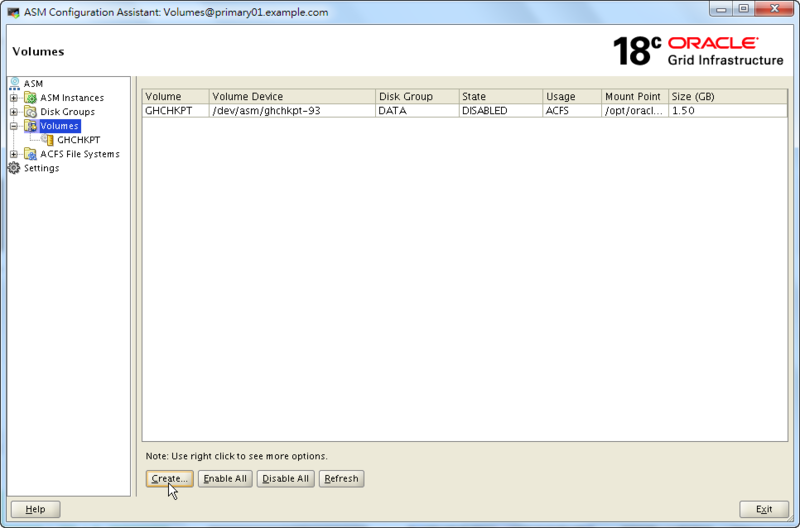 Use a disk group to create a volume. 2. 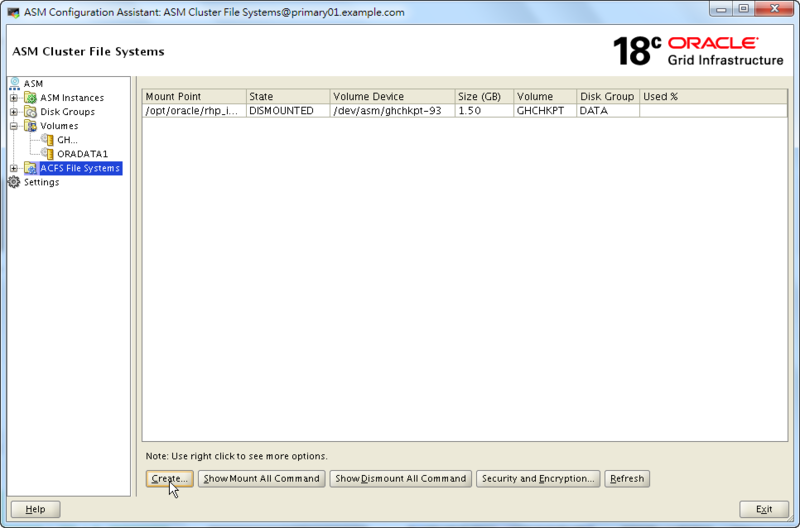 Use the volume to create ACFS file system. 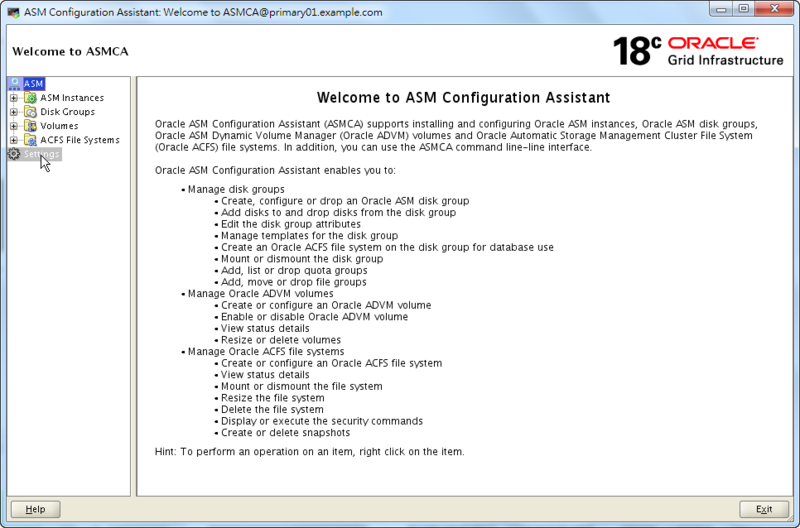 Later in this post, I will introduce a shortcut in ASMCA that can do all the things in one step. First of all, we call ASMCA by issuing asmca. Click on “Settings” to proceed. Input root’s password in the field and then click Save. Expand “Volumes” on the tree. Click on Create. button to create a new volume. 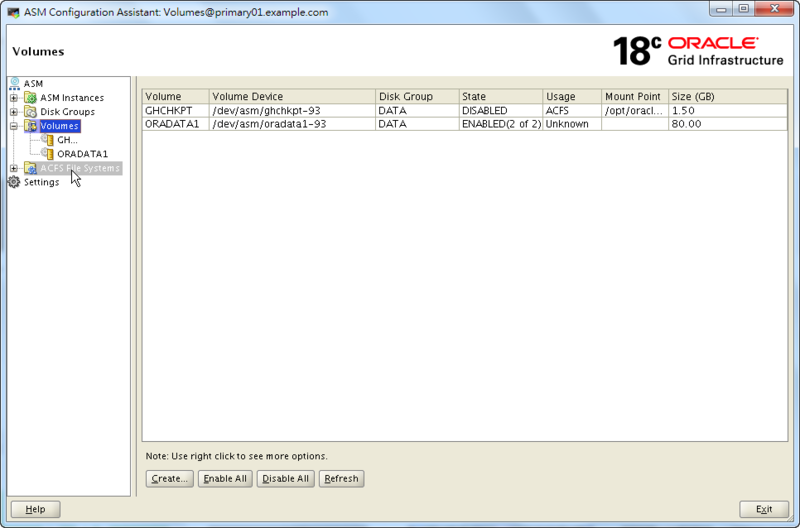 Configure the new volume, then click on OK. The new volume is creating now. Expand “ACFS File Systems” on the tree. Click on Create. 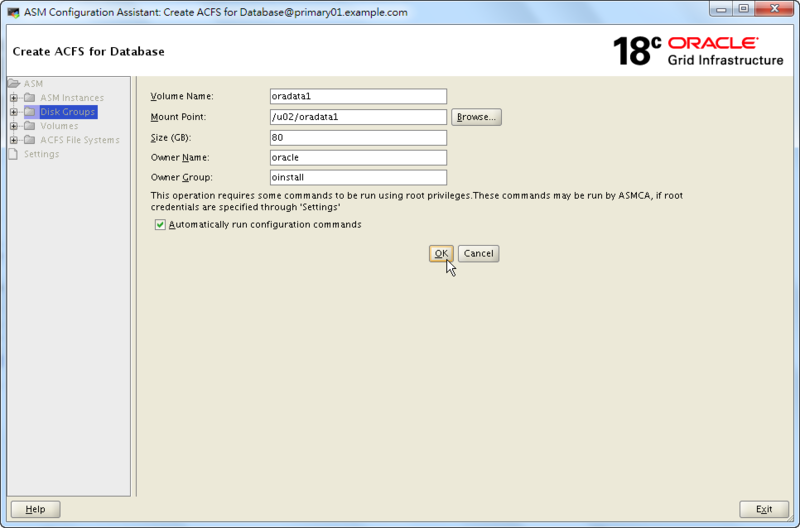 button to create a new ACFS file system. 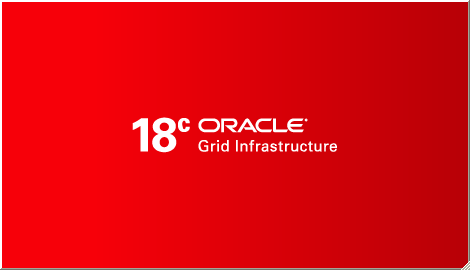 Configure the new ACFS file system, then click on OK. 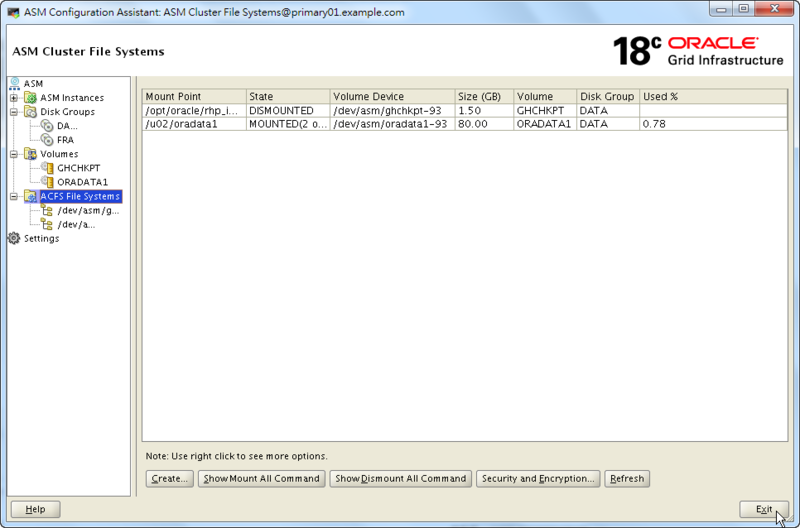 The new ACFS file system is creating now. 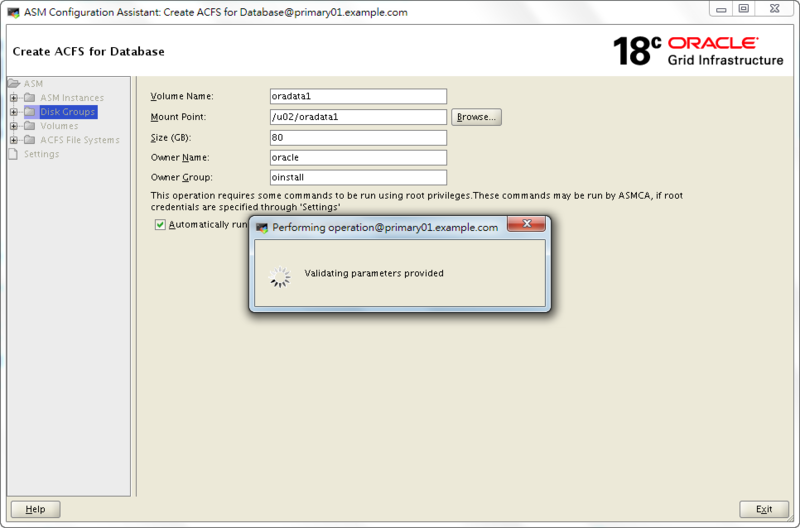 Our ACFS file system is created. We can now exit ASMCA. 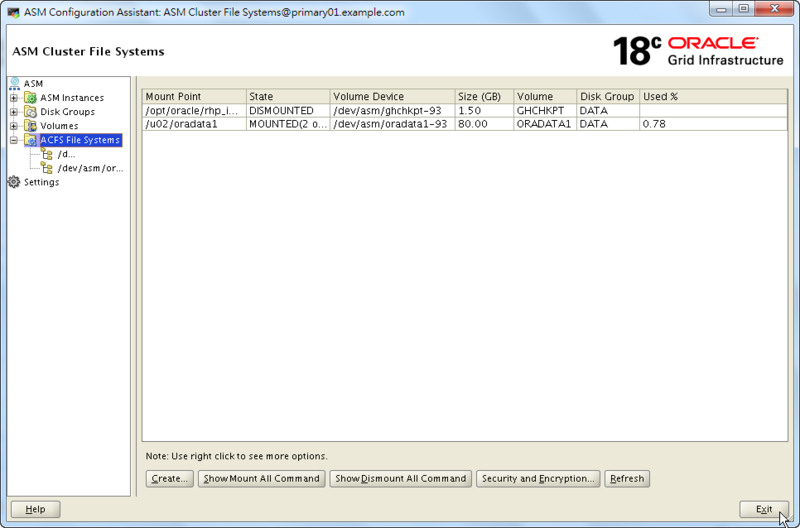 We can also use acfsutil, a command lines interface that can help to create a ACFS file system. The result is the same. Does anyone notice that there’s a shortcut to create ACFS file system in ASMCA? It can create a volume as well as an ACFS mount point in the same page. 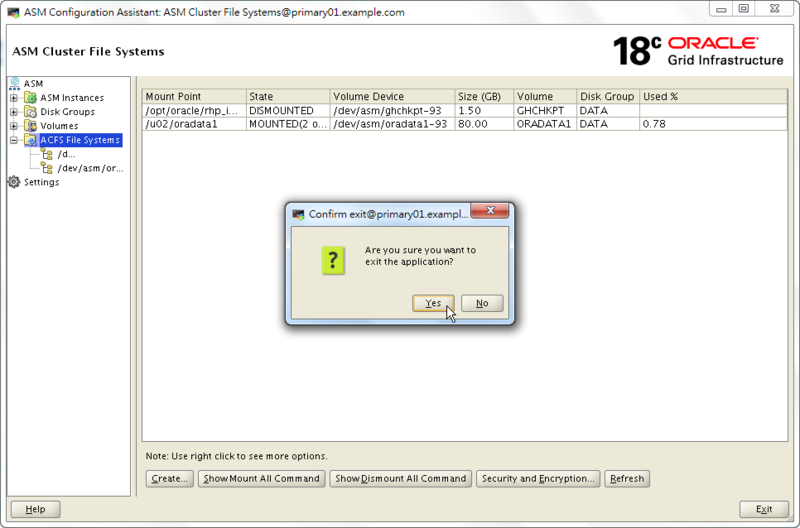 First of all, right click on a disk group DATA which is used for allocating our ACFS file system. 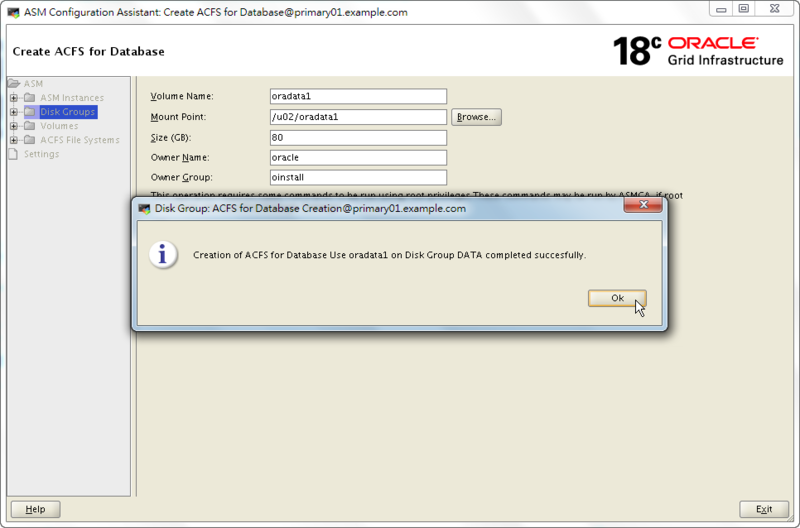 And click on “Create ACFS for Database Use”. 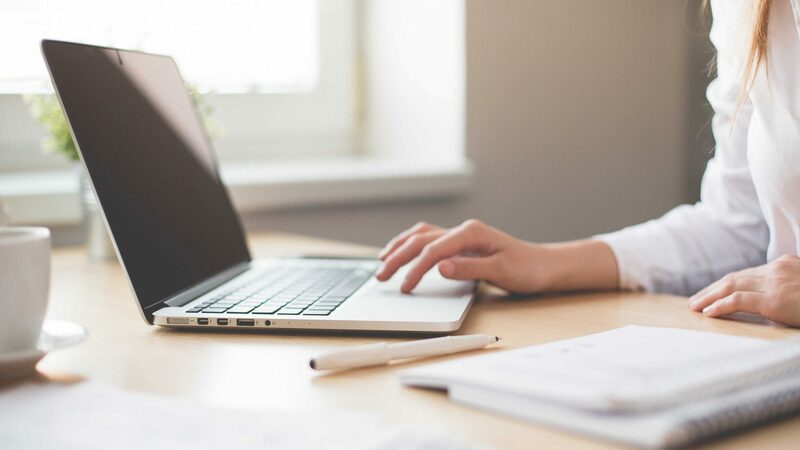 We should provide volume, mount point, size and owner information on this form. Please note that, even though there’s nothing mentioned about ACFS on this page, this shortcut is meant to create ACFS file system. The result seems to be the same. At least I can’t see any differences.